Would you like to design your own Makie? Makie is a decorative method applied onto lacquer coating. The exquisiteness of this technique was fully developed in Kyoto, the cultural and political capital, in the 6th Century. The process of "Makie" starts with drawing a pattern to a piece of waxy paper. 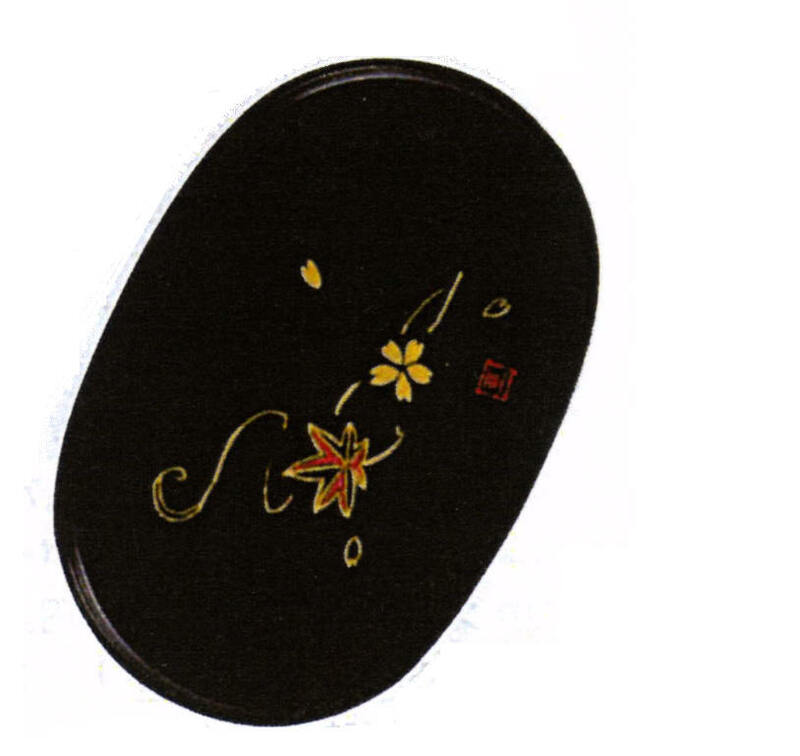 When this drawing on the paper is pressed onto a lacquer coated surface (such as a tray or bowl), then you are ready to trace this design with a fine brush dipped into yellow-colored lacquer ( Cashew paint). 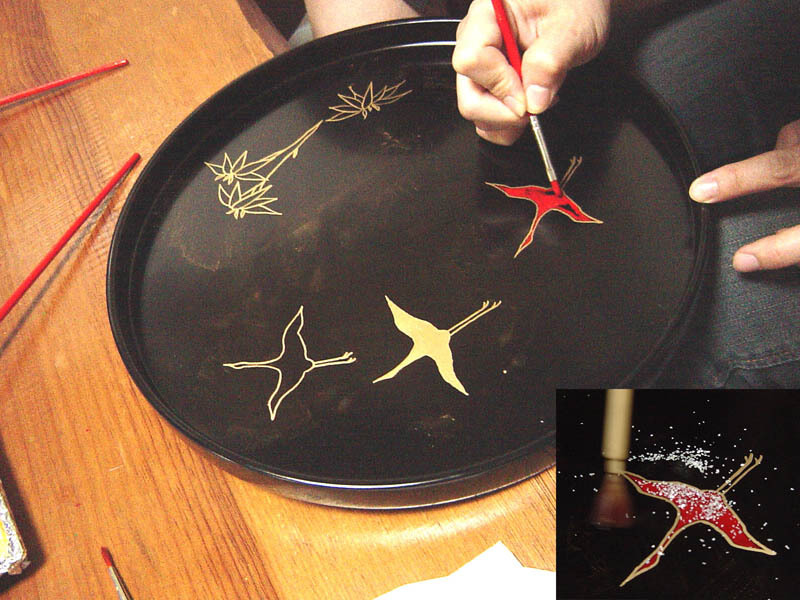 Before this lacquer dries out, gold or silver powder is sprinkled over. This powder is adhered to the lacquer drawing and hardens over night. This process is repeated until desired design is accomplished. 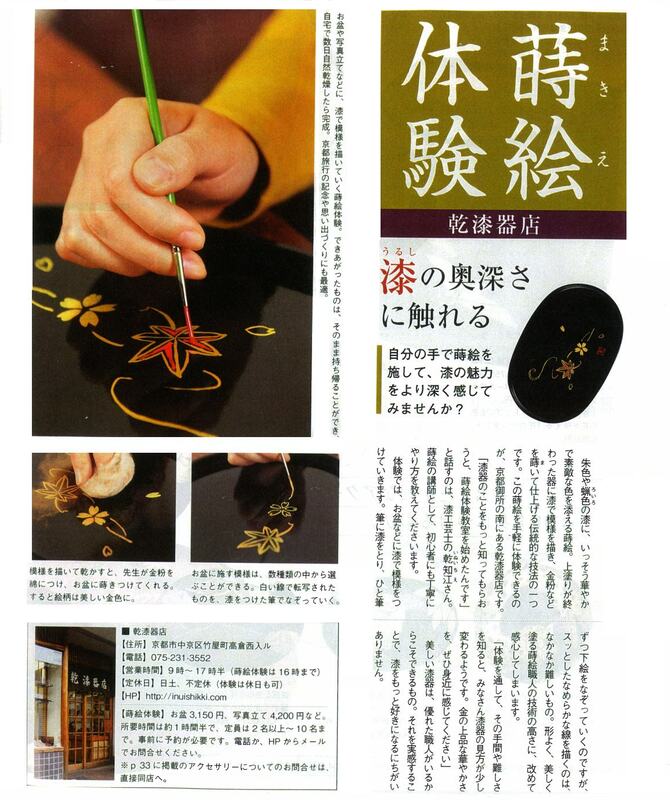 Our hands-on Makie-introductory class will offer a great cultural experience. Have fun to make your own souvenir! Hands-on Class Schedule (between 9 a.m. to 4 p.m) By reservation only. Every Tuesdays and Fridays 9 a.m. to 4 p.m.
Awoi Matsuri Festival May 14, 15, 16th. Jidai Matsuri Festibal: October 24, 25th. Off-site classes for a large group of 15 or more attendants or special events are available. Fees: ( Tax included) Small Tray ( 3,240 Yen), Broach and Pendant Top (5,400 yen) or at the cost of the product. Or select any products available at the store. Reservation: By email Taiken@InuiShikki.com or call us at (075) 241-2764. Instruction: In Japanese (English manual available).